A senior State Duma deputy said the Constitution might be amended to allow the president to serve more than two consecutive terms, renewing speculation that even more power might be vested in the executive branch. “It depends on how our system is working at the time,” Pligin said in response to a question about the two-term clause from a Moscow Times reporter. The term limit, introduced in the 1993 Constitution, allowed President Vladimir Putin to assume power in May after serving two terms as president from 2000 to 2008 and stepping aside for his protege Dmitry Medvedev from 2008 to 2012. The current Constitution, adopted soon after a bloody standoff between President Boris Yeltsin and parliament, is often called “superpresidential” because it gives much power to the president. Under Medvedev, the Constitution was amended to extend the presidential term to six years from the previous four. Putin has indicated that he might consider changing the two-term limit but said he would still be able to run for president until 2024. Pligin did not say when a constitutional amendment on term limits might be passed, but he added, “Next year will be interesting,” referring to the Constitution’s upcoming 20th anniversary. A soft-spoken intellectual, Pligin saw his image tarnished in recent weeks after his committee helped draft amendments to toughen penalties for libel and slander convictions. The penalties were softened during Medvedev’s presidency. 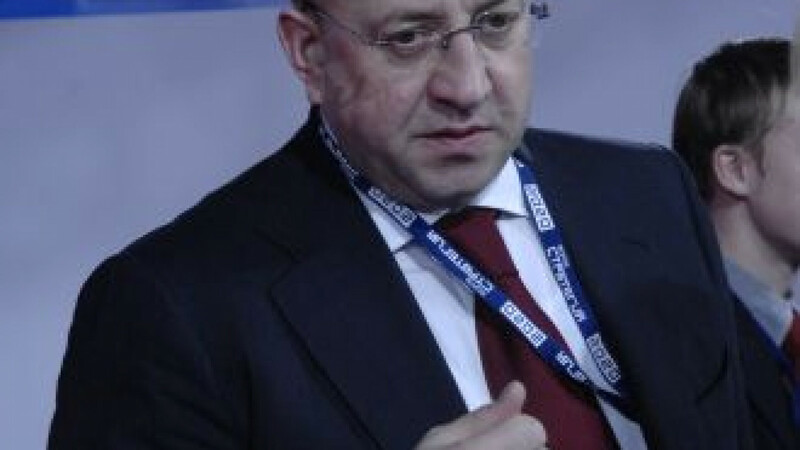 Pligin said, however, that he believes politicians should avoid responding harshly to criticism in the media. “Judging from my own experience, I can say that a politician should react more calmly to media reports,” he said.